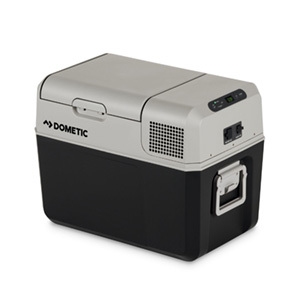 Lightweight and easily portable, our CC-series powered coolers are perfect for use on day trips and picnics. With convenient features including space-saving foldable handles and an energy-efficient LED interior light for use in the dark. A battery protection system automatically cuts power to the fridge when the battery voltage drops to a pre-set value, allowing you to fully relax and enjoy your time with friends and family.